MUCHOS HOMBRES TIENEN LA BENDICION DE TENER POR ESPOSA A UNA MUJER SABIA, UNA MUJER PRUDENTE, UNA MUJER SUMISA, PERO LASTIMOSAMENTE MUCHAS DE ESAS MUJERES NO TIENEN ESA BENDICION SINO QUE AL CONTRARIO, SUS ESPOSOS SON PREPOTENTES, ALTANEROS, INSENSATOS, EN UNA SOLA PALABRA: NECIOS EN SU MANERA DE COMPORTARSE. Y LAS NECEDADES DE SUS ESPOSOS, SU COMPORTAMIENTO ALTANERO, IMPRUDENTE, HACE QUE ELLAS TENGAN QUE VIVIR SIEMPRE ARREGLANDO SUS PROBLEMAS, DISCUPANDOLOS POR SU COMPORTAMIENTO CON LA FAMILIA, VECINOS, AMIGOS, ETC. EL MENSAJE DE HOY VA ENFOCADO QUE COMO ESPOSOS NOS DEMOS CUENTA CUANTO DAÑO LE HACEN NUESTRAS NECEDADES A NUESTRA ESPOSA, QUE NOS DEMOS CUENTA QUE TAN DAÑINO ESTA SIENDO NUESTRO COMPORTAMIENTO. ESTA NOCHE VEREMOS EN LA PALABRA DE DIOS LA HISTORIA DE UNA PAREJA : NABAL Y ABIGAIL, EL NOMBRE DE NABAL SIGNIFICA NECIO, Y ABIGAIL SIGNIFICA “LA ALEGRIA DE MI PADRE”, LO CUAL ES MUY DURO PUES MUCHAS ESPOSAS QUE FUERON TAN CUIDADAS, PROTEGIDAS, AMADAS POR SUS PADRES, CAEN EN MANOS DE HOMBRES NECIOS QUE LES ESTAN HACIENDO LA VIDA IMPOSIBLE. NABAL COMO LO VEMOS EN EL VS 2 ERA UN HOMBRE MUY RICO, SU ESPOSA ERA SABIA Y HERMOSA, PERO EL ERA UN NECIO. NABAL ERA UN HOMBRE DE MALAS OBRAS PORQUE SU CORAZON ESTABA LLENO DE MALDAD, LA DUREZA DE SU CORAZON LA REFLEJABA EN SUS ACTITUDES. MUCHOS ESPOSOS PIENSAN QUE POR SER PROVEEDOR DE SU CASA TIENE DERECHO DE TRATAR A SU FAMILIA COMO LE DA LA GANA, Y QUE LA FAMILIA TIENE LA OBLIGACION DE SOPORTALO. PENSAMOS QUE PORQUE NADA FALTA EN CASA PODEMOS TRATAR A NUESTRA FAMILIA COMO NUESTROS ESCLAVOS, QUEREMOS RECIBIR AMOR Y RESPETO Y NOSOTROS DAMOS MALTRATOS. LOS HOMBRES DE DAVID HABIAN AYUDADO Y CUIDADO A LOS PASTORES DE NABAL CUANDO ESTABAN CON SUS REBAÑOS EN EL CAMPO, Y CUANDO DAVID LES MANDO A PEDIR AYUDA EL LOS HUMILLO, SE NEGO A AYUDARLOS A PESAR DE LO QUE HABIAN HECHO POR EL. DAVID SE SINTIO MOLESTO, DESAGRADADO POR LA ACTITUD DE NABAL (VS 21) A NADIE LE ES AGRADABLE RECIBIR MAL POR BIEN. CUANTOS ESPOSOS LUEGO QUE LA FAMILIA DE NUESTRAS ESPOSAS NOS HAN AYUDADO, NOS HAN APOYADO, EN LOS COMIENZOS DE NUESTRO MATRIMONIO, NOS HAN CUIDADO NUESTROS HIJOS, NOS HAN PRESTADO DINERO, NOS HAN DADO DONDE VIVIR, Y AHORA QUE YA GRACIAS A DIOS ESTAMOS MEJOR EN LA VIDA, NO QUEREMOS QUE NOS VISITEN, NOS MOLESTA VISITARLOS. CUANTAS VECES NOS HEMOS MOLESTADO GRANDEMENTE CUANDO NUESTRAS ESPOSAS NOS HAN PEDIDO QUE AYUDEMOS CON ALGO A NUESTROS SUEGROS Y SE NOS OLVIDA TODAS LAS COSAS QUE ALGUNA VEZ ELLOS HICIERON POR NOSOTROS. EL EJERCITO DE DAVID HABIA DECIDIDO ATACAR A NABAL POR LO QUE LES HIZO, LOS CRIADOS DE LA FAMILIA DE NABAL SE LO DIJERON A ABIGAIL, PORQUE ERA IMPOSIBLE DECIRSELO A NABAL PORQUE ERA DEL TIPO DE HOMBRE QUE NO SE LE PUEDE DECIR NADA, NO ENTIENDE DE RAZONES, ES IMPOSIBLE HACERLO REACCIONAR. QUE TRISTE ES CUANDO LLEGA PAPÁ A CASA PERO NADIE SE ATREVE NI A SALUDARLO, CUANDO LOS HIJOS NO PUEDEN ACERCARSE A EL, CUANDO NADIE SE ATREVE A COMENTARLE NADA PORQUE SIEMPRE SE MOLESTA, SIEMPRE SE PONE IRACUNDO. POR EL COMPORTAMIENTO DE NABAL SU ESPOSA ABIGAIL TUVO QUE HUMILLARSE, ELLA TUVO QUE PEDIR DISCULPAS, ELLA TUVO QUE VENIR DELANTE DE DAVID A QUIEN SU ESPOSO HABIA OFENDIDO. MUCHAS ESPOSAS TIENEN QUE RESOLVER ELLAS LOS PROBLEMAS QUE SUS ESPOSOS HAN CAUSADO, TIENEN ELLAS QUE PONER LA CARA POR SUS ESPOSOS. ¿Cuántas VECES TU ESPOSA HA TENIDO QUE PONER LA CARA POR TI? CON SU FAMILIA, CON TU PROPIA FAMILIA, CON TUS VECINOS, ETC. CUANTAS VECES ELLA HA TENIDO QUE RECIBIR LOS REPROCHES Y RECLAMOS POR TU COMPORTAMIENTO, ¿SERA JUSTO ESO?? ABIGAIL FUE A RESOLVER EL PROBLEMA QUE NABAL HABIA CAUSADO, FUE A DEFENDERLO PARA QUE NO LE HICIERAN DAÑO, PERO CUANDO REGRESO, ESTABA TAN EBRIO QUE NI CUENTA SE DIO DEL PROBLEMA QUE CAUSO. CUANTAS VECES POR TUS VICIOS, POR TU DEPORTE, PORQUE NO SE TE PUEDE DECIR NADA NI CONTARTE NADA, NO TE DAS CUENTA DE LOS PROBLEMAS QUE TU ESPOSA HA TENIDO QUE RESOLVER POR TI. 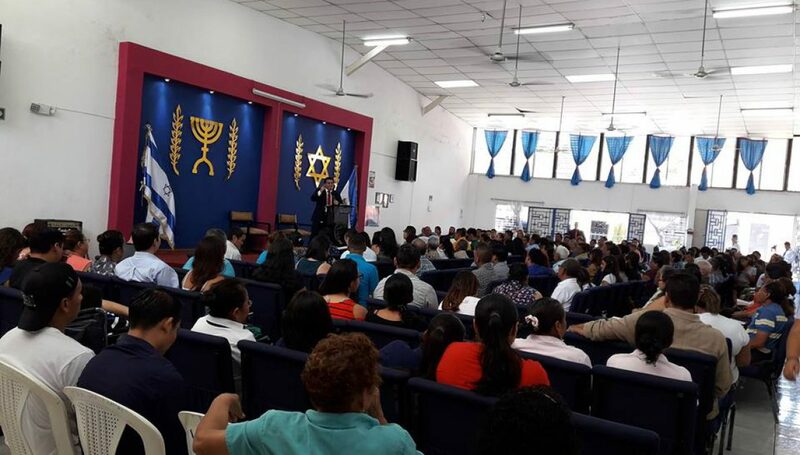 COMO LO DICE EL VS 38: JEHOVA HIRIO A NABAL Y MURIO… DIOS LE PUSO UN ALTO, Y DIO A SU ESPOSA A OTRO HOMBRE, A DAVID EL FUTURO REY DE ISRAEL. ES ALGO QUE HAY QUE RESALTAR, ABIGAIL FUE QUITADA DE UN HOMBRE QUE LA MALTRATABA, QUE LA HUMILLABA Y FUE DADA A UN HOMBRE QUE LA CONVIRTIO EN REINA. SI DIOS TE HA HABLADO ESTA NOCHE, NO ESPERES QUE SEA DEMASIADO TARDE!! Publicado el febrero 18, 2013 por Pastor Oscar FloresPublicado en UncategorizedEtiquetado ABIGAIL Y NABAL, BOSQUEJO SOBRE ABIGAIL, BOSQUEJO SOBRE NABAL, ESPOSAS SABIAS, ESPOSOS NECIOS.